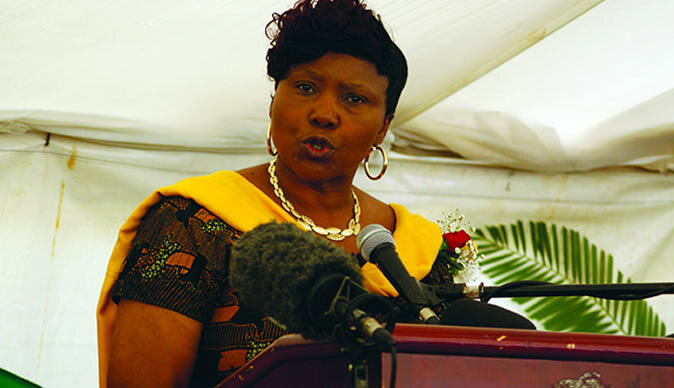 Muchinguri said when a sub division of Lichfield Willesden was declared a cantonment area under section 6 of Statutory Instrument (SI) 93 of 2006 (Defence (Cantonments) Notice, 2006, by her predecessor, the ZDF's move was to ensure the country maintained its national security and at the same time protected members of the public such as the 10 civilians that petitioned the court challenging the declaration. "The Defence ministry in declaring this area a cantonment or protected area is actually ensuring the safety and security of these very applicants who have brought this application before the court. There is also Zimbabwe Defence Manufacturing Industry (ZDMI), where explosives are made and tested. There is also the risk of accidental discharge within the area which might put their lives at risk as well," Muchinguri said. "The restriction of unauthorised civilians in such an area is a precautionary measure that we take in order to further our functions as the ZDF as outlined in section 212 of the Constitution, the presence of non-military personnel who are not authorised in the area poses a huge national threat."